A medium-sized, sturdy dog, the Keeshond possesses the characteristics of other Northern breeds ??? a fox-like expression, stand-off coat and richly plumed tail carried over the back. His coloring is a mixture of gray, black and cream, with variations from light to dark and distinctive “spectacles” ??? markings and shadings in the eye area, including a delicate, dark line slanting from eye to ear and expressive eyebrows. Basically unchanged over the past two centuries, the Keeshond descended from the same arctic strains as the Samoyed, Chow Chow, Norwegian Elkhound, Finnish Spitz and Pomeranian. The Kees was originally served as a watchdog on riverboats, barges and farms. Especially popular in Holland in the late 1700s, the breed also became a symbol of the Dutch Patriot political party and its leader Kees de Gyselaer, who owned a dog named Kees and gave the breed its name. When the Patriots were defeated, the Keeshond became rare in Holland until it was revived a century later, when it also began appearing in England and America. 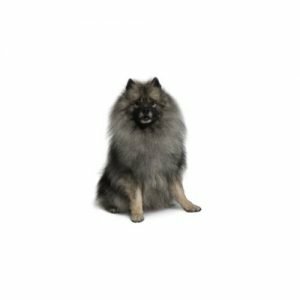 An affectionate, good-natured companion, the Keeshond is outgoing and friendly with people and dogs, following the lead of their owners when welcoming strangers. The breed learns quickly and is energetic, requiring daily exercise. Twice-weekly brushing is sufficient. Non-Sporting Group; AKC recognized in 1930. Ideal size: 17 to 18 inches tall at the shoulder. Are you interested in purchasing a Keeshond?